You may be wondering why ArtSite had disappeared off the radar to be replaced by art4place. 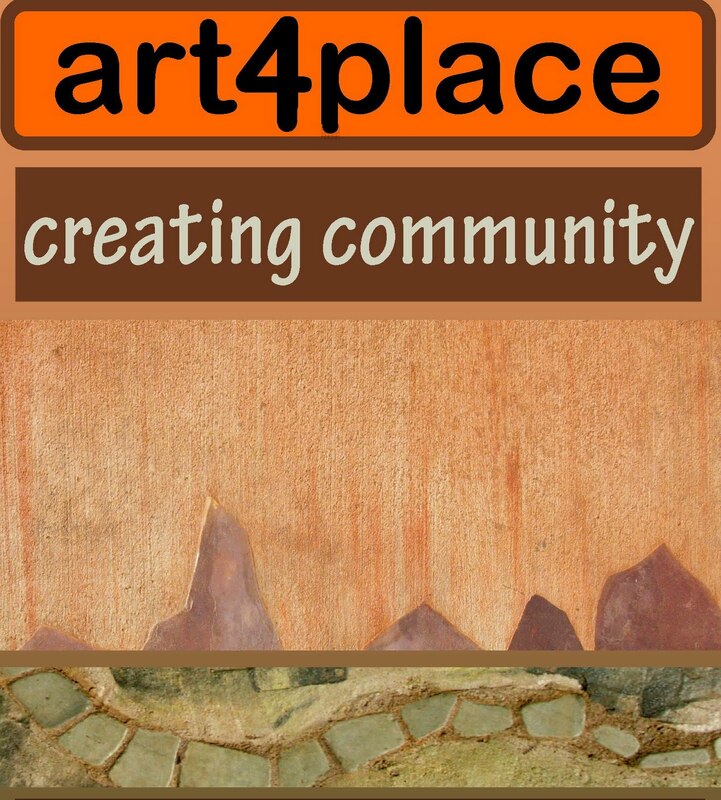 The short answer is that there were legal issues with the ArtSite name, so we brainstormed to come up with 'art4place' which seems to be a popular choice with most members. As a consequence, we needed a new logo and new publicity material, so last week was spent designing new DL cards and posters to promote our placemaking organisation. This is what we have come up with. 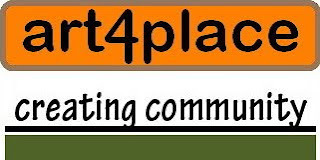 "art4place is a community based enterprise that promotes, coordinates and manages community placemaking public art ventures in the Sunshine Coast Hinterland of SE Queensland, Australia. 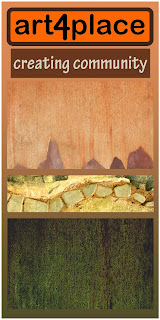 Placemaking art highlights the connections of people to the places in which they live. 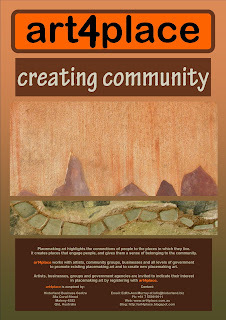 It creates places that engage people, and gives them a sense of belonging to the community. 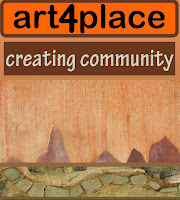 art4place works with artists, community groups, businesses and all levels of government to promote existing placemaking art and to create new placemaking art. 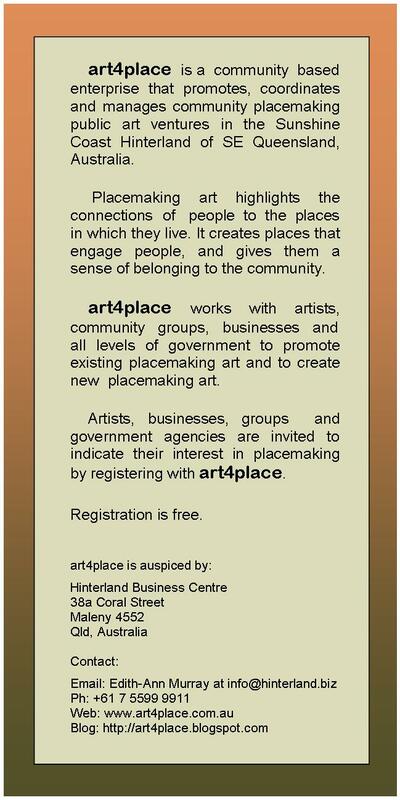 Artists, businesses, groups and government agencies are invited to indicate their interest in placemaking by registering with art4place. 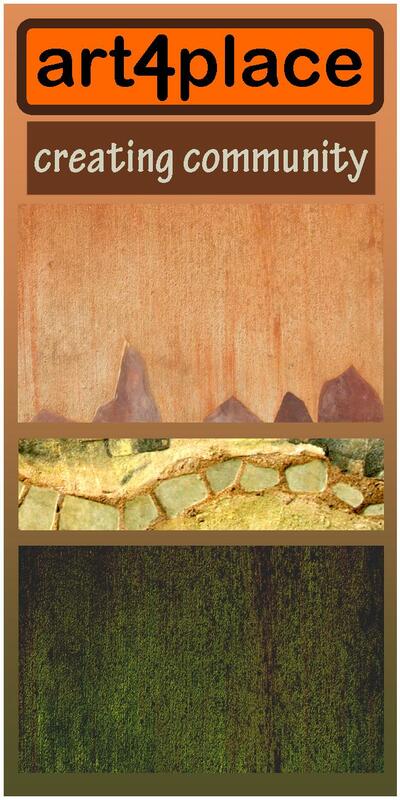 "Placemaking art highlights the connections of people to the places in which they live. It creates places that engage people, and gives them a sense of belonging to the community. art4place works with artists, community groups, businesses and all levels of government to promote existing placemaking art and to create new placemaking art. 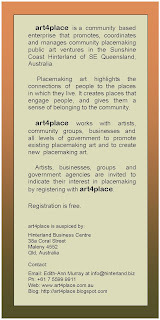 Artists, businesses, groups and government agencies are invited to indicate their interest in placemaking art by registering with art4place". Hopefully you will see the information around town and you can help spread the word. 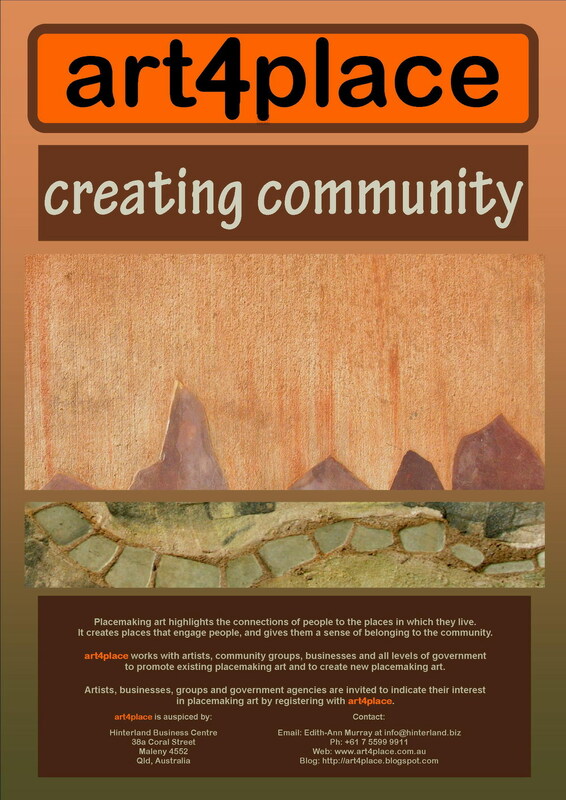 The launch of the placemaking map tomorrow in Cooke Park will help to raise our public profile. Feedback from members is always welcome.